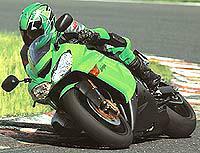 How much should you pay for a ZX-10R? Our users tell us around £8500 is good, providing you’re getting a good trade-in. And if you’re as shrewd as some other buyers we’ve been hearing from you could get hold of a 2004 GSX-R1000 for £7600-£7800. We asked you to send in the real deals you are doing right now. The many real examples you sent in are grouped together here by bike with the models highlighted in bold text. We’ll keep on adding more as you send them in. And if you’re thinking of selling your bike to do your next deal, click on SELL YOUR BIKE in our main navigation bar for the fastest way to advertise to 500,000-plus committed motorcyclists. If you want to share your latest buying deal, simply e-mail us with the details requested at the end of this article. Chris Dickey picked up an 04 Aprilia Factory for £8600 otr. No extra bits I was told that Aprilia had just raised the price of it to £10,995 because demand was exceeding production. The bike is an official import not a parallel, and was bought from a dealer in Cambs. Richard High-Stevenson, 35, bought an Aprilia RSV Mille year 2000 W plate for £4300 with 13,000 miles on the clock. He didn't get the price reduced but got the 12,000 mile service done in the price. He bought the bike in the midlands. " The biggest bonus is the insurance for fully comprehensive is only £340 with legal and Euro cover for 90 days. Result me thinks, " said Richard. Andy Thompson recently bought a 1999 Ducati 916 Senna. He’d been looking for one for months after his mate bought his old 1997 916. So it was a cash deal. He bought it officially from a Scottish Ducati dealer. They put new belts on it and gave it a full service and also gave him one years warranty. It has less than 4000miles on the clock. He paid £6300. Jennie Rigg has just bought a Honda CBR125R, this year's model,for £1950 in Yorkshire. It has Smartwater, crash bungs, and is an official UK bike. Technically it's second-hand, as somebody bought it then decided they didn't want it. It had 17.1 miles on the clock when I got it... But at nearly 20% off list price (£2350) onthe fastest selling bike this year so far, she says she’s not going to complain. Mark Hussey picked up a brand new unregistered 2003 Honda CBR600RR from an official Honda dealership. He haggled it down to £6000 and got crash bungs thrown in along with the standard two-year warranty, AA cover and Smartwater. Roy Gibbs bought an official UK CBR1000RR 04.MRP price is £8799, he paid £8450 for the bike with Smartwater, two-year warranty and a tank pad thrown in. He also got new one-piece leathers with £100 off. Mike McGowan pre-ordered a 2004 Honda CBR1000 Fireblade (list £8700) UK model from a West Sussex dealer. He paid £8300 with Smart Water and two years AA assistance. Because the delivery got delayed he got 10% off any accessories or clothing He bought. Spencer Gibbens has just got a 9000-mile, mint condition Kawasaki ZX7-R P3 (1998) for £3499. Apparently it’s never been out in the wet, and he managed to get a £2700 trade-in for his old 2001 Honda Hornet 600. Matthew Smith bought a black Kawasaki ZX-10R from a Lancashire dealer. " I managed to get a fantastic deal, £8500 on the road and £6300 for my BMW 2002 ABS R1150GS. Roger Patrick, 40, paid the asking price of £2199 for his 1994 official import RF900RR. The Hampshire dealer gave him a one-month parts and labour warranty. Steve Sedgewick bought a ZX-12R Official UK bike (B1 2002) model brand new, registered April 2004. He paid £7200 with a hugger thrown in, from a dealer in Staffs. " They gave me a cracking trade in on my 2000 W 955i Daytona of £3800. I also kept my extra bits from the Daytona (Can and Hugger) and got a further £200 back for those. My local dealer in Swindon wanted another £1000 for the same bike and deal (£7700 for the ZX-12R and only offered me £3300 for the 955i). It pays to shop around and be prepared to travel a bit. " Rob Smith bought a new Suzuki SV1000S in silver from a Bucks official dealer last August. He paid £5600 but got £3000 for his 99 CBR600 FX as a trade in. He also got 12 months tax, 12 months AA cover, Labour free first service and Smartwater. Paul Evans bought a brand new Suzuki 600 Bandit with free alpha dot, free tank of petrol, plus 12 months AA ASSISTANCE. He paid £2550 and a 1995 600 bandit in part ex. Andy McAteer, 28, bought a 2001 X-plate Suzuki GSF 600Y Bandit for £2995 from a Honda dealer in Scotland. The bike was immaculate and came with Alphadot, a there-month warranty, service history, full tank of petrol, years road tax, and newly serviced. Nick Smith bagged a GSX-R1000K4 pre-reg with Datatool system 3, tank pad , mushrooms and mini indicators for £7595. Dave Pollen bought an official import pre-registered K3 GSX-R1000 from a Wiltshire dealer in blue and white for £6900. It came with Datatag and Alphadot included and he got £4700 for his 2001 R1 as a trade-in. Phil Dufour 37, bought a new GSX-R1000K4 in blue/white from a UK franchise dealer for £7795. Pete Townsend, from London, has finally got his hands on a red 2004 Yamaha R1..